NASHVILLE – Special Agents with the Tennessee Bureau of Investigation have obtained indictments for a former Marshall County paramedic charged with stealing drugs that were stored on ambulances. At the request of 17th District Attorney General Robert Carter, TBI agents began investigating Scott Smith on November 19th. Smith was a paramedic employed by the Marshall County Emergency Medical Service. During the course of the investigation, agents developed information that from October 22nd through November 18th, Smith removed controlled substances such as Dilaudid, Morphine and Fentanyl from ambulances while he was working. An audit conducted by Marshall County EMS revealed several packages of drugs stored on ambulances had been tampered with. Agents learned that Smith stole some of the controlled substances, then refilled the packages with saline solution and placed them back into the ambulances. Smith later aided agents in the recovery of the packages that had been tampered with and were still on the ambulances. 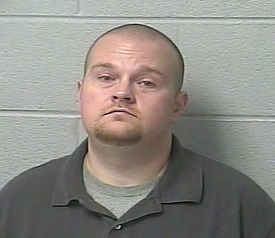 Smith’s employment with Marshall County EMS was terminated in November. Today, a Marshall County Grand Jury returned an indictment against the Belfast man, charging him with one count of Theft and one count of Official Misconduct. TBI agents arrested Smith, 38, who was booked into the Marshall County Jail where he was released after posting a $7,500 bond.